After being silent for over a month, I figured the best way to make a comeback is with a feast. We have also wanted to try Brazilian cuisine. After a few missed opportunities in Montreal and Sydney, we were excited to find this Brazilian restaurant in Brisbane. 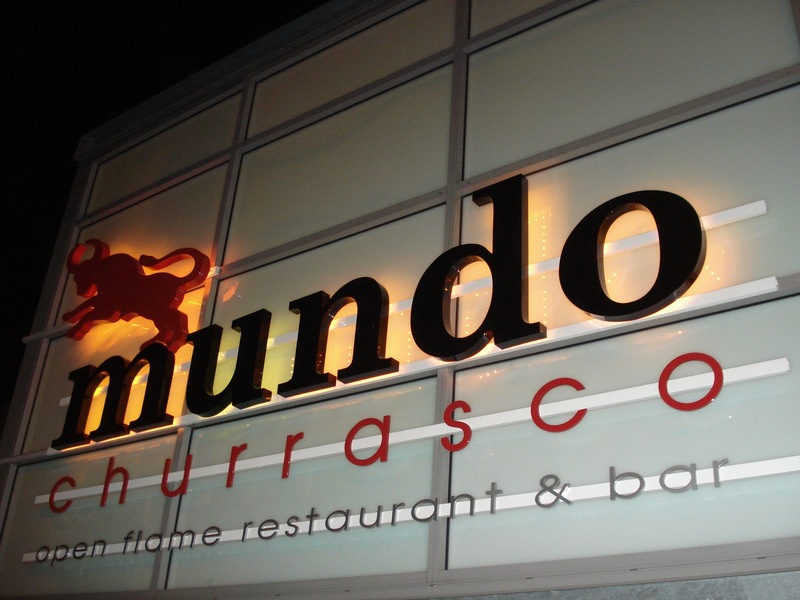 Mundo Churrasco is definitely not for the faint hearted. 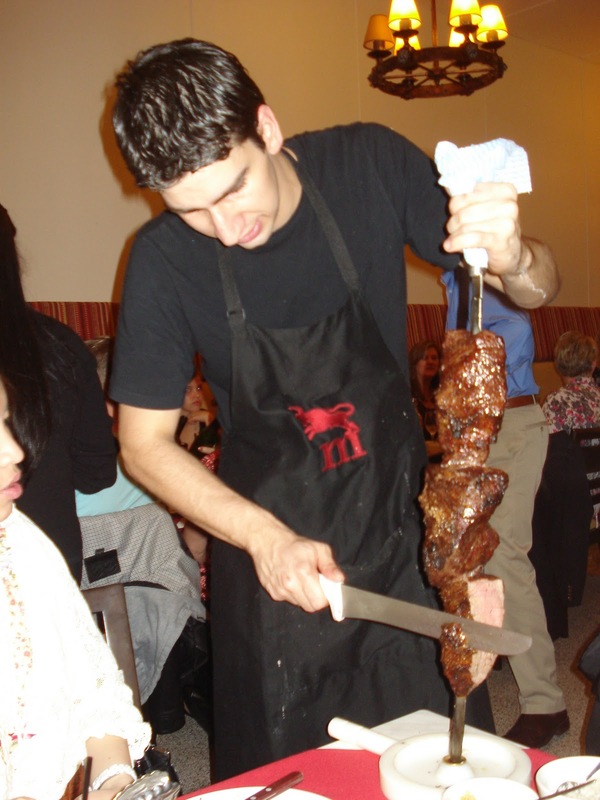 It offers an all-you-can-eat meat feast with delicious and tender cuts of beef, lamb, pork and chicken. 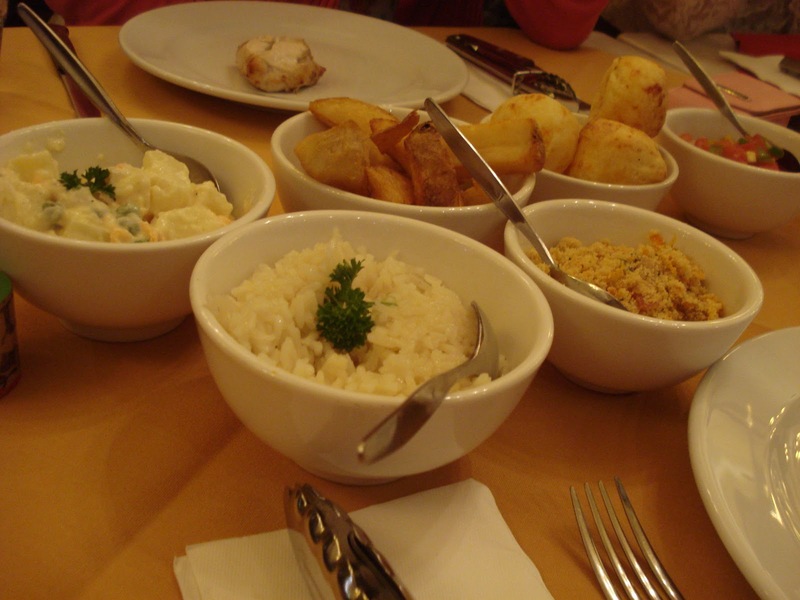 All meals include accompaniments such as Brazilian rice, potato salad, cheese bread, tomato salsa and chips. 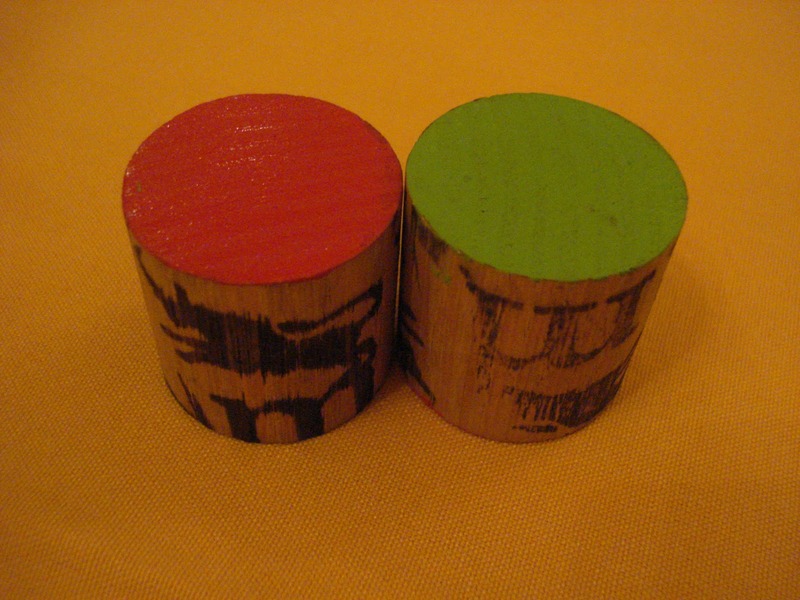 Everyone is given a small cylinder with one side painted green and the other red. If you have the green side up, food will keep coming. Once you have had enough, or needed a break, just turn the red side up and the waiter will stop offering you food. The waiters walk around with big skewers of meat. If your cylinder is turned to green, they will stop at your table to offer you some meat. 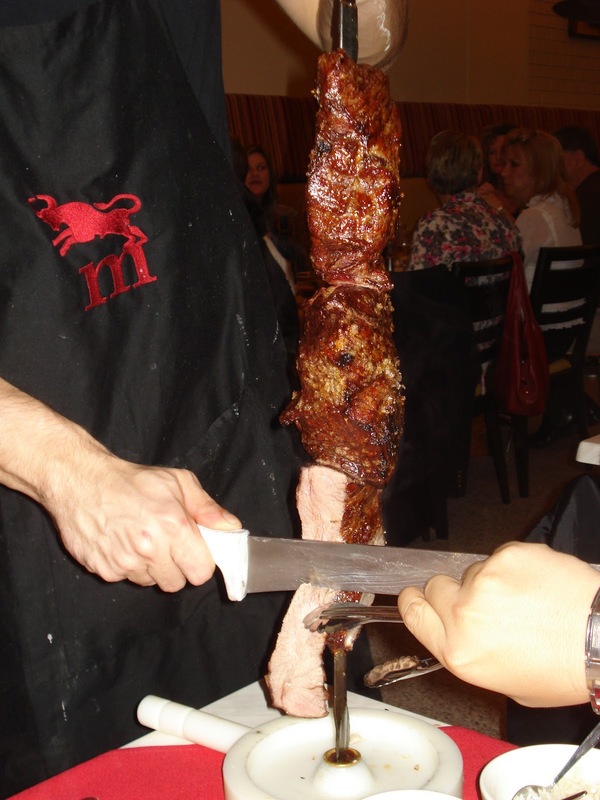 Using a long, sharp knife, they skilfully carve the meat right in front of you. For the amount of meat you get, $34.50 is a fair price to pay. It is $10 less for Vegetarian, but honestly, why bother going to a meat buffet if you are a vegetarian?!?! ?